Just like everything, gutters and decks need to be replaced after their lifespan has passed. To some, gutters are the eternal collector of leaves. We see them as a thing of beauty, a rain distribution system that funnels water away from your homes foundation. Aspen Exterior’s gutter systems are the forefront of protection for your home. Ours are made of heavy gauge seamless aluminum with low-maintenance finishes, and they are installed with a dedication to detail. When you want quality, you can trust us with installation for your gutters and decks. Raindrop Gutter Guard Systems uphold an unmatched level of research and testing of all issues associated with creating a quality leaf protection system. They successfully weigh gutter guard issues, then design and combine valuable solutions into one guard, making Raindrop® the preferred product of choice for your home for years to come. 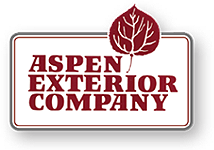 If you have questions or concerns regarding our gutters and decks, Contact the experts at Aspen Exterior today. Call (847) 590-5600 for more information.